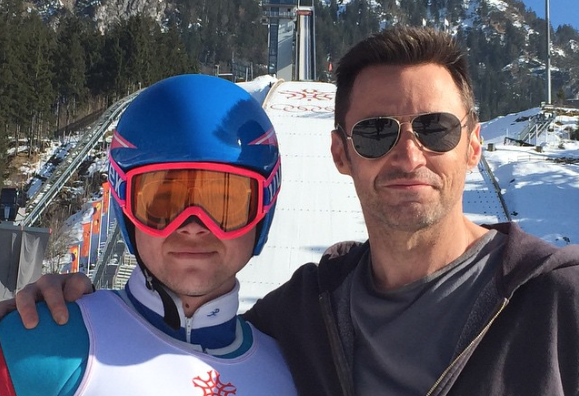 Lionsgate UK has set an April 1st, 2016 release date for EDDIE THE EAGLE. Dexter Fletcher directs the story of Great Britain’s first ski jumper to enter the Winter Olympics. KINGSMAN: THE SECRET SERVICE’s Taron Edgerton stars as the eponymous Eddie Edwards with Hugh Jackman as his coach Bronson Peary. EDDIE THE EAGLE is joined by a supporting cast that includes Jo Hartley (‘This Is England’),Tim McInnerny (‘Blackadder’), Keith Allen (‘Robin Hood’), Iris Berban (‘Rosa Roth’) and Rune Temte (‘The Last Kingdom’), Christopher Walken (‘Catch Me If You Can’) and Jim Broadbent(‘Bridget Jones’ Diary’). EDDIE THE EAGLE flies into UK cinemas April 1st, 2016.